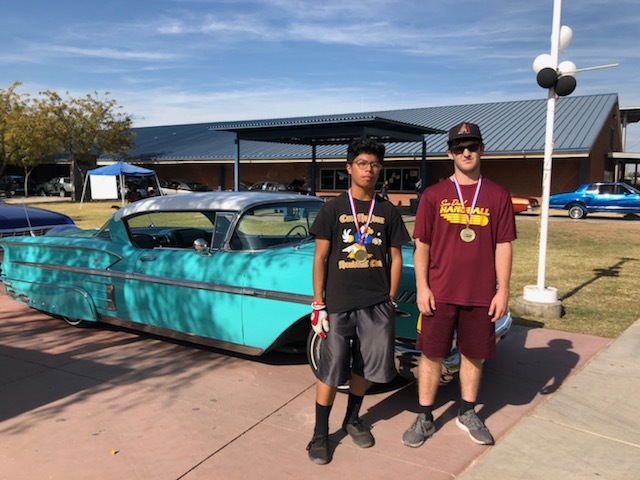 Carl Hayden High School in Phoenix was the site of a combined handball tournament and Mecha Car Show this past weekend [Nov 17/18, 2018]. 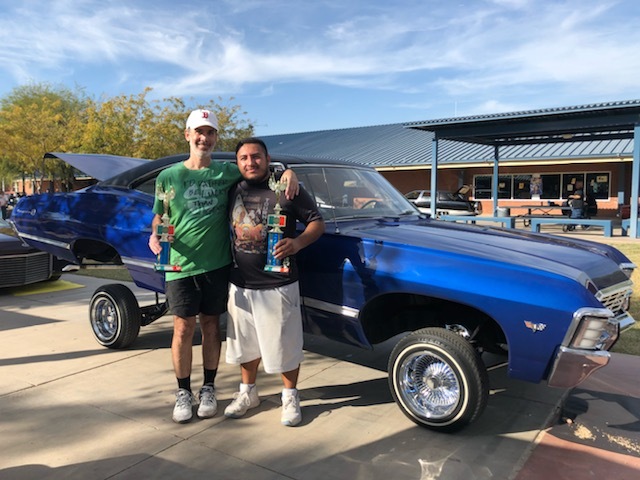 Thirty two players and nearly three dozen classic, souped up and low-rider cars were on campus to wow the spectators and fans. 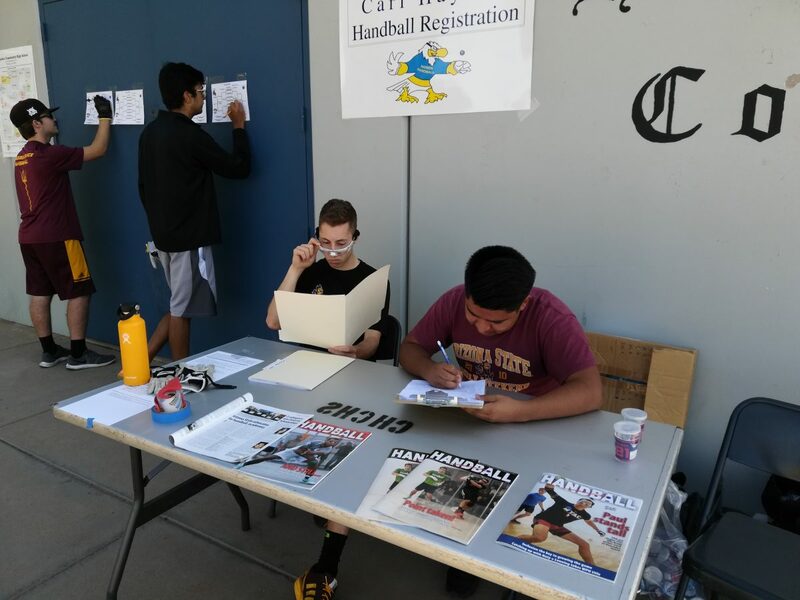 This was year two for the tournament, which raised money for the high school handball club and was once again managed by the Arizona State University Handball team. The Sun Devils were happy to show their commitment to community service and mentoring young student-athletes through this fun weekend. 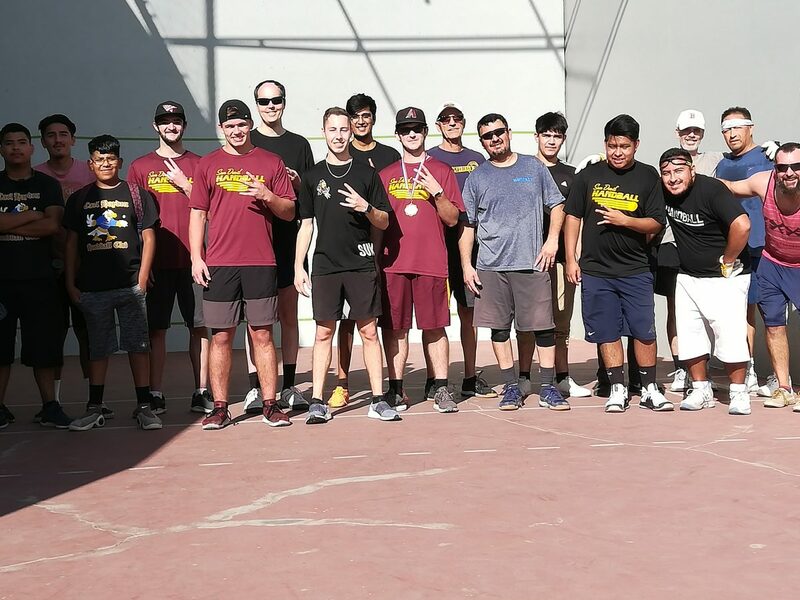 High school players from Carl Hayden and Camelback participated along with a passel of local adult players. 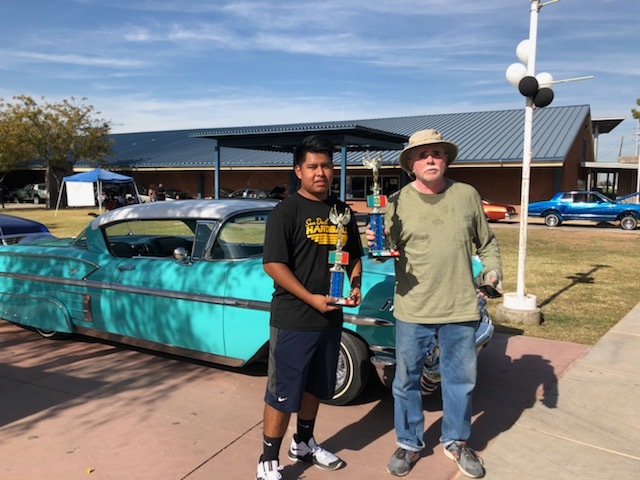 Plenty of food was provided from breakfast through lunch and tournament close by Success4Kids.org and Valley Produce. Local patrons Don Stewart and Jim Reitmyer donated t-shirts. Many thanks to all for their generosity to our handball community.